ZAP Tops Toolswatch 2015 Survey! The OWASP Zed Attack Proxy (ZAP) is an easy to use integrated penetration testing tool for finding vulnerabilities in web applications. It is designed to be used by people with a wide range of security experience and as such is ideal for developers and functional testers who are new to penetration testing. ZAP provides automated scanners as well as a set of tools that allow you to find security vulnerabilities manually. OWASP OWTF is a project focused on penetration testing efficiency and alignment of security tests to security standards like: The OWASP Testing Guide (v3 and v4), the OWASP Top 10, PTES and NIST. Surf to Snow in January! #2 of our 2016 Strategic Goals is to become more involved in the Developer community. We are pleased to report tremendous turnout for our recent outreach events, Codemash in chilly Ohio and AppSec California in sunny Santa Monica. CodeMash is a unique event that seeks to educate developers on current practices, methodologies, and technology trends in a variety of platforms and development languages such as Java, .NET, Ruby, Python and PHP. Sessions included 40 hours of security content, with 2 days of training by Jim Manico and Bill Sempf. OWASP Foundation participated as a Gold level sponsor. Bill Sempf, the project leader of the OWASP .NET Project and chapter leader for OWASP Columbus, served on the Session Committee helping to review over 1000 submissions. We have been proud to partner with Codemash over the past two years and are seeking similar opportunities worldwide. AppSec California is a one of a kind experience for information security professionals, developers, and QA and testing professionals, as they gather at the beach from around the world to learn and share knowledge and experiences about secure systems and secure development methodologies. The third annual event taking place last month fulfilled all expectations bridging the local application security and developer communities for a beautiful weekend on the California coast. Tell Us About Your Favorite Developer Events! We are looking for developer events to attend. Please Rate the top Developer Conferences where you would like to see OWASP participate. The survey will be open until EOD Feb, 29, 2016. Be sure to register for our upcoming events, such as Blackhat Asia 2016 on March 31 - April 1, 2016 at Marina Bay Sands, Singapore and invite your colleagues. OWASP Projects and activities are often the subject of webcasts and podcasts. Sit back and relax as you watch and listen to these recent episodes. Webgoat v.7 released. Listen to our podcast as Bruce Mayhew explains the new version. The WebGoat Project started 10 years ago and has had over 1,000,000 downloads. Version 7.0 is being released this week. Matt Miller caught with Bruce Mayhew, project lead, to talk about the history of the project, what has been updated in version 7, and what he foresees as the future of this project. Project Page: http://www.owasp.org/index.php/CategorY:OWASP_WebGoat_Project. OWASP ZSC is an open source software in python language which lets you generate customized shellcodes and convert scripts to an obfuscated script. Shellcodes are small codes in assembly which could be use as the payload in software exploiting. Other usages are in malwares, bypassing anti viruses, obfuscated codes and etc. Obfuscate codes can be use for bypassing antiviruses, code protections, same stuff, etc. This software can be run on Windows/Linux/OSX under python. According to other shellcode generators such as metasploit tools and etc, OWASP ZSC using new encodes and methods which antiviruses won't detect. OWASP ZSC encoders are able to generate shellcodes with random encodes that lets you to get thousands of new dynamic shellcodes with the same job in just a second, it means you will not get a same code if you use random encodes with same commands, and that makes OWASP ZSC one of the bests! otherwise it's going to generate shellcodes for other operation systems in the next versions. It's the same story for the code obfuscation. ESAPI project co-leader, Kevin Wall announced his team has just tagged (and signed) a new ESAPI release. The tag name is esapi-2.1.0.1. There are 36 GitHub issues that were closed. You can find full details at: https://github.com/ESAPI/esapi-java-legacy/blob/master/documentation/esapi4java-core-2.1.0.1-release-notes.txt. Note that there are also some important changes made to the GitHub repo itself. Specifically, we have chosen to adopt a git workflow based on this blog: http://nvie.com/posts/a-successful-git-branching-model/, where all the new development work will be done on the 'develop' branch and the 'master' branch will henceforth reflect the latest official ESAPI release. Please help us to make @owasp ZAP even better for you by answering the ZAP User Questionnaire. AppSec Europe 2016, 30 June - 1 July, 2016, Rome, Italy. Call for Lightning Trainings closes April 30. Call for Activities closes April 30.
with other organizations in support of the OWASP Community. CLICK HERE for more information on advertising. Note: due to the US Embargo in Iran, this chapter is ineligible for funding from the Global Foundation. Learn more about our Student Chapters and Academic Supporter programs. 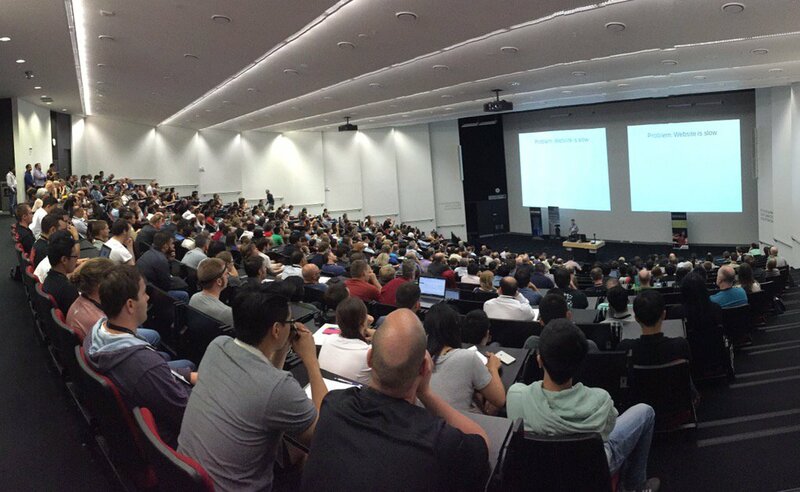 OWASP New Zealand and the University of Aukland presented its seventh annual OWASP New Zealand Day on February 4. The OWASP New Zealand Day conference is a free, one-day event dedicated to application security, with an emphasis on secure architecture and development techniques to help Kiwi developers build more secure applications. The conference was preceded by a training event on February 3. Slide decks are posted to the 2016 OWASP New Zealand Day website. Web Developers: The morning sessions introduced attendees to application security. Afternoon sessions took a deeper dive into technical topics, building on the morning sessions. Management: After an introduction to web application security, one of the afternoon streams focused on informational and defensive topics. Security Professionals and Enthusiasts: Technical sessions later in the day showcased new and interesting attack and defense topics. Snow FROC 2016, took place this past week on February 18 in Denver, Colorado. The OWASP Colorado chapters hosted 200 developers, business owners, and security professionals for a day of presentations, training, and bonding. Jeremiah Grossman, Founder of WhiteHat Security, gave the keynote address, followed by a 2-track session and a parallel hands-on course. The OWASP NYC chapter has begun a series of virtual lunch and learn sessions about projects. The first call on February 23 featured the OWASP Benchmark project with Dave Wichers. Next month they will feature ASVS with Jim Manico. Full details for the 2016 program is available online at: http://www.meetup.com/metrocsc/. Raising appsec visibility one meeting at a time locally and globally, join us! We at the OWASP Global Foundation are looking forward to hearing about more such events in future. Share your chapter's successes! Submit your stories to support@owasp.org. OWASP Membership is a great way to contribute to our local chapters and projects. A portion of your membership can be allocated to teh chapter and/or project of your choice. Please show your support for OWASP Projects and Chapters by becoming an Individual or Corporate member today! Your name here? Find out how by visiting our Corporate Supporters information page. Thanks to all of our Premier and Contributing Corporate Members for your support in 2015!